The president of Italy's Marche region has described three powerful new earthquakes on Wednesday as a "catastrophe" and appealed for help. Luca Ceriscioli said quakes and snow had caused landslides and thousands of families were suffering power cuts. A number of villages had become isolated, he said, with fallen trees blocking snow ploughs. European Commission chief Jean-Claude Juncker promised Italy would not be "left alone". There were no immediate reports of deaths after the new tremors, which were all recorded as above magnitude 5. Marche was one of the regions worst hit by the earthquake of 24 August, with 46 of its 298 victims losing their lives in a single mountain village there, Pescara del Tronto. 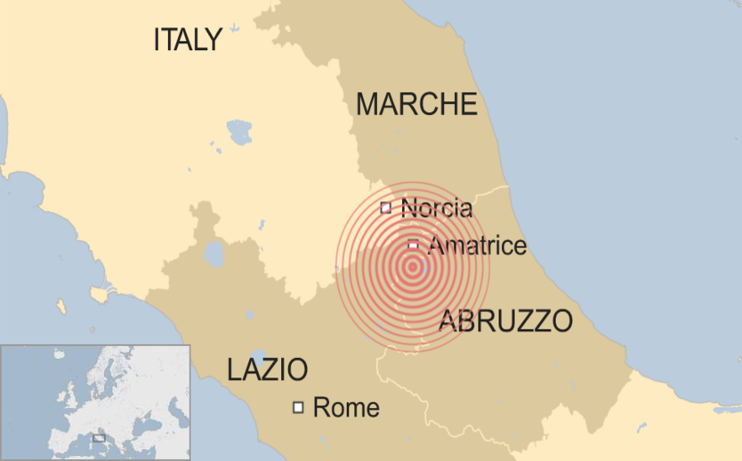 The latest tremors also affected the neighbouring regions of Abruzzo and Lazio and were felt in the capital, Rome. Amatrice, the Lazio town where 236 of the August deaths were recorded, is close to the epicentre of the new quakes. The tremors came after some 36 hours of steady snowfall in mountainous areas around Amatrice and Norcia. The first big quake struck at 10:25 (09:25 GMT) with a magnitude of around 5.3, followed at 11:14 with one of 5.4, followed some 11 minutes later by another of 5.3, according to the Italian Institute of Geophysics and Volcanology (in Italian). All three were around 9km (5.6 miles) in depth, meaning they were dangerously close to the surface. "It's a catastrophe," Mr Ceriscioli said, as civil defence leaders met to discuss the response in Marche. "Today's tremors and the snow of the last days add huge problems, especially on the roads, to the dramatic situation caused by the [August] earthquake. "The lack of electricity causes serious problems to thousands of families who don't know where to go or to stay." The priority, he said, was "taking people to safe and warm places". He appealed for "maximum mobilisation", saying the army was already lending assistance, and called on other parts of Italy to send help to clear the roads and restore power. Saying the rest of Europe shared Italy's pain, Jean-Claude Juncker said he was sending his commissioner in charge of humanitarian affairs to Italy. "We will provide all kinds of efforts, instruments, helps at our disposal because I think that in that matter, as in the migration matter, Italy cannot be left alone," he said. "An earthquake in Italy is an earthquake in Europe - that's the way I'm considering this sad event." 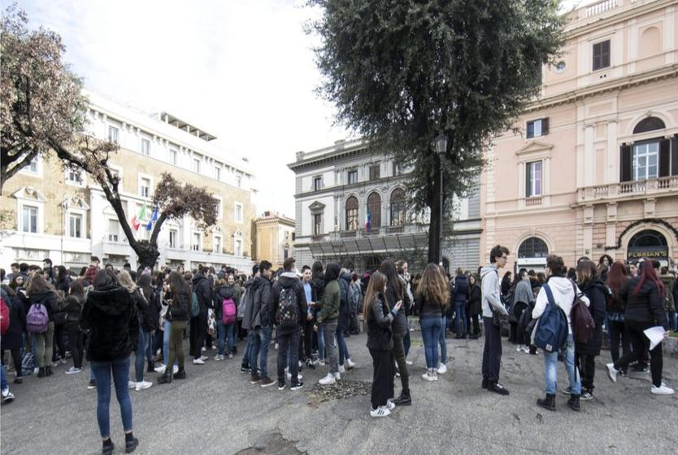 Schools have been evacuated in the areas worst affected while in Rome, the underground system was shut as a safety precaution. "Everyone is outside," Lina Mercantini, in the village of Ceselli in the Umbrian region, about 80km from the epicentre area, told Reuters news agency. "It's very cold and windy. This is totally unnerving. It's never ending. We are all shaking." Giuseppe Di Felice, a hotel worker in Capitagno very close to the epicentre area, told state-run Rai radio people couldn't get out of their homes. "It's apocalyptic," he said.